We are experts in the buying and selling all kinds of objects from fine antiques and paintings to everyday household furniture and bric-a-brac. 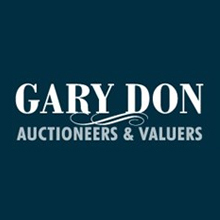 We are the official auctioneers for Leeds City Council, and our auction rooms, Gary Don Auctioneers, have recently won the "Consumers`s Choice Award". Gary has built a reputation as the local TV and radio antiques expert, and can be heard regularly on Radio Leeds where you can speak to him live for his opinion and advice on antiques and collectables. Later this year Gary will be appearing on Television Antique Programs on BBC2 and UK Living.and on Posh Pawn Brokers Channel4. Gary was voted in the Top 10 Antique Markets and Dealers in the Country by "The UK`s Best House and Home Ideas" magazine. We can offer a truly comprehensive service to our clients specialising in antiques, auction room facilities, removals, valuations and home contents clearance. We also have considerable expertise in placing specialist items in auctions around the world.